The onshore wind sector in the UK has grown significantly over the last decade and in particular over the last five years. Further increases are expected in onshore wind energy deployment over the course of the decade in order to meet the UK’s 2020 renewable energy commitments and longer-term energy security and low carbon goals. The experience of many economies over the last few years demonstrates that the economic impact of onshore wind deployment can be significant in terms of direct, supply chain and wider economic effects. 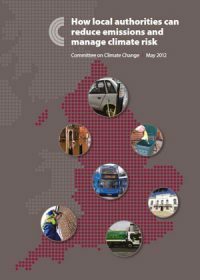 This report considers the scale of these effects in the UK to date and the potential contribution of the onshore wind sector to future economic growth in the period to 2020. 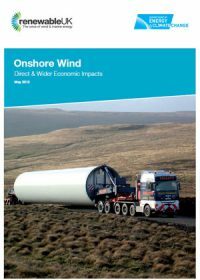 The focus of the study is on the economic impacts of the commercial onshore wind sector. 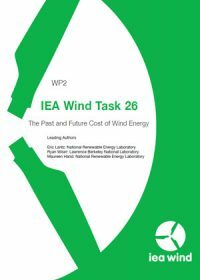 This summary report provides a review of historical costs, evaluates near-term market trends, reviews the methods used to estimate long-term cost trajectories, and summarizes the range of costs projected for onshore wind energy across an array of forward-looking studies and scenarios. It also highlights high-level market variables that have influenced wind energy costs in the past and are expected to do so into the future.